Heartware Network was the culmination of my teenage experiences of a police inspector with a calling for the “underdogs” of our community, and as a Singapore Club member later in life when I was working overseas to help fellow Singaporeans in distress. 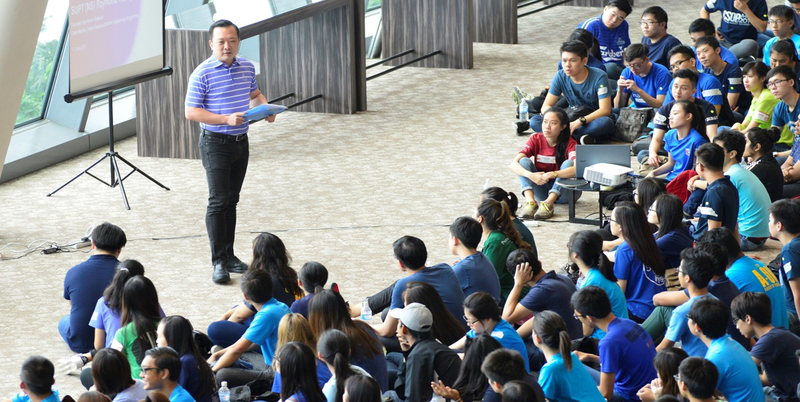 I had begun to believe in rallying young Singaporeans to be stewards of our community. Inspired by our government’s ‘Singapore 21’ campaign to build greater societal cohesion and former Prime Minister Goh Chok Tong’s 1997 National Day Rally Speech to build the “Heartware” of Singapore, I was moved to ignite a movement to create a nation of active citizens who will play the role of informal ambassadors for Singapore. I wanted to gather enough passionate individuals who wish to “do things from the heart”, and persist in their goodwill efforts even after the conclusion of national campaigns such as Kindness Month. I wanted to play my part in building a Singapore with a deeper soul to help others with no strings attached, to encourage humility in our younger generation, and to build sincere friendships with no hidden agenda. Having observed other high profile charities, I decided to build an unconventional organization that relies not on celebrities touting our name, but fulfills a palpable need to bridge the gaps in our society – a youth charity to jump-start youth volunteerism. This is what Heartware Network is all about. It is an amplification of our own lives, with all the pimples and flaws, our ups and downs. But one thing is for sure, Heartware Network is REAL, TRANSPARENT, and RESOLUTE in networking both people and organisations to create more positive, and hopefully, lasting changes in shaping our society. To be the trusted youth developer, enabling youths to become resilient and active community champions. Igniting the hearts of youths and imparting them with values, character and skills to make a real difference to the community. Do the right thing, honour our words, and take full responsibility of our actions. Being whole-hearted and committed to give our best from start to end. Stay true to ‘service from the heart’ and our mission in everything we do. "Never-say-die” even in the midst of struggles and failures, constantly facing challenges head-on. Dare to imagine, and have a “can-do, will-do spirit”; constantly look for opportunities to create, innovate, and build.